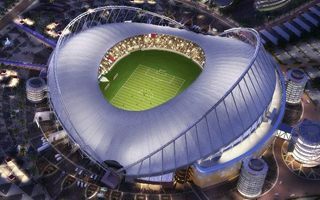 HBK Contracting and China Railway Construction Corporation Limited will deliver Qatar’s most impressive stadium, the host of 2022 World Cup final. Rhythmic jumps by several thousand people are considered dangerous as MDCC Arena’s stability is challenged. 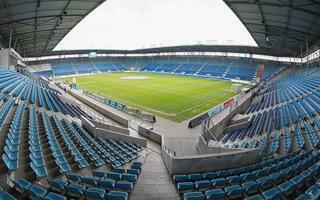 Fans of FC Magdeburg now have to stand still during games. 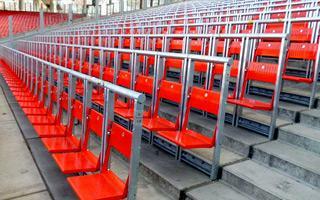 Good news: safe standing may be installed in Kingsford Stadium. 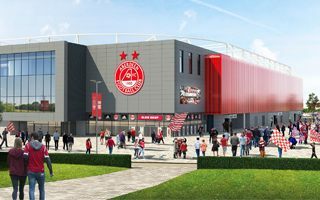 Bad news: Aberdeen remind that relocation from Pittodrie is still years away. They were supposed to play in the final of Copa Sudamericana tomorrow, but their glorious journey was stopped by plane crash. 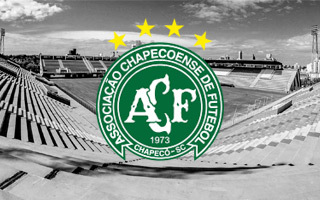 Today we stand with Chapecoense as their stadium joins StadiumDB. 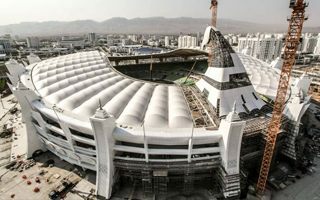 See these amazing photos from Turkmenistan, where new national stadium is nearing the finish line, following 4-year long redevelopment. 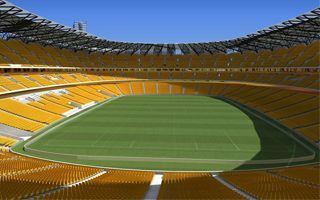 The tallest stadium of 2022 World Cup won’t be ready this year, as was initially planned. But the slip is minor and won’t affect any major event. 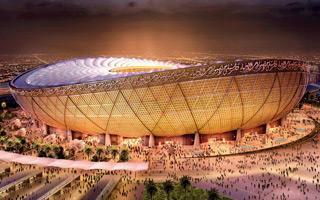 Khalifa Stadium in full grace coming soon, by March 2017. 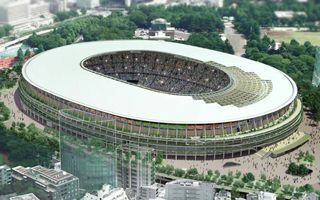 All formalities should be done by Friday and on December 11 works can officially begin on Japan’s new National Stadium. 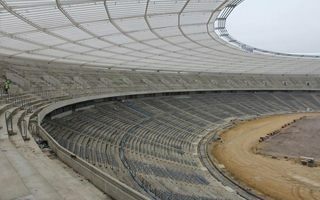 It will be ready less than 8 months ahead of the 2020 Olympics. 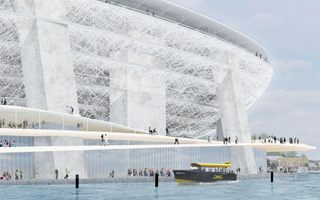 We should see the final concept within just 2 weeks, but actual construction works won’t begin until 2019. First, the wholesale food market Mercafir needs to be moved. 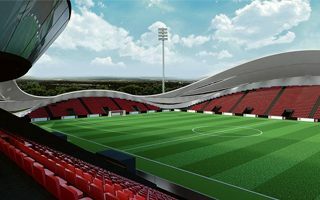 Luxembourg mayor revealed updated renderings, construction timeline and some new details about the proposed national stadium. One of them: hybrid field instead of natural one. 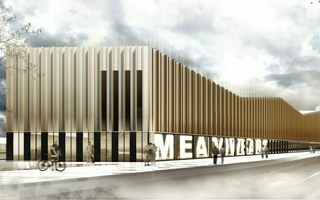 No match for Murrayfield or the two football stadia, but Meadowbank is Edinburgh’s largest multi-use stadium since the 1970 Commonwealth Games. Now it might undergo a revamp that isn’t unanimously approved. 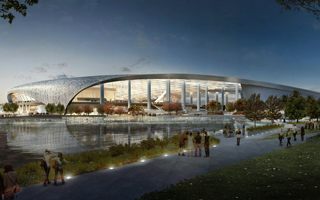 Groundbreaking will take place within a year while opening is planned for early 2019. 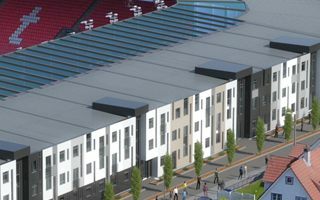 Norwegian Brann will then house 300 students in their new south stand. 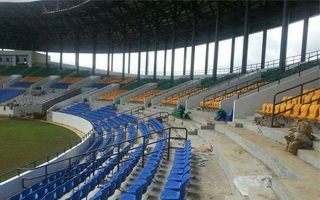 There’s only 7 weeks left until the 2017 Africa Cup of Nations and construction in Oyem isn’t finished. Even worse, the project was halted by local residents furious about no access to water and electricity. 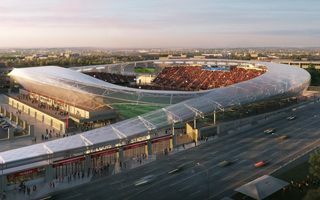 While we still don’t know the exact timing, Aberdeen went into much detail with latest renderings and master plan of the proposed Kingsford Stadium. 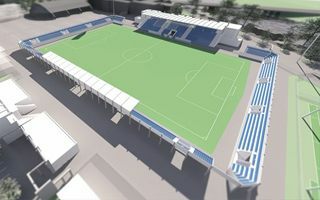 Private investors await results of feasibility study on potential stadium that could replace unfinished Wayne County Jail. So far we know that jail construction might theoretically resume. 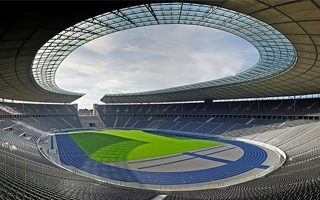 Hertha Berlin is evaluating possible stadium locations in and outside Berlin. Shortlist of best options should be presented early next year. After years of waiting finally all requirements are met and money secured. 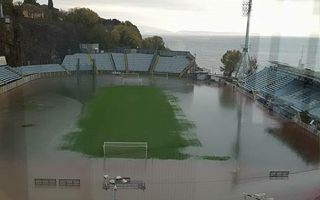 Now the only question remaining is whether Real Sociedad will be able to play at home throughout the process. 20.11.2016 New design: St. Louis loses football, will it get futbol? 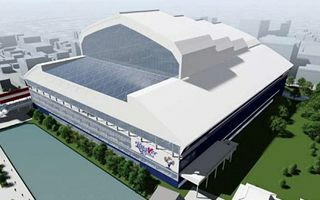 Having lost their NFL franchise, St. Louis are left with a large empty stadium and a void to fill. But would an MLS team be the desired filling? 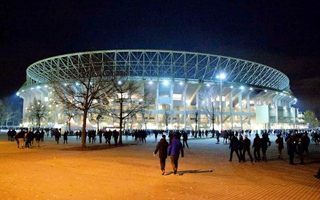 Series of arrest in Albania, Kosovo and Macedonia disabled what’s believed to be planned terrorist attack against Israel’s national team. 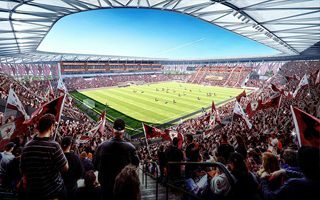 Sacramento Republic have reasons for joy as their proposed stadium was approved by the city council. 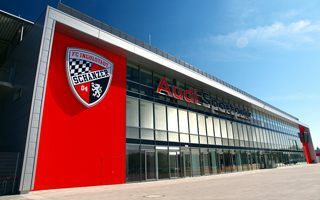 It might be one of most football-friendly venues across the US. 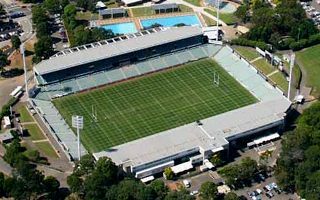 Planning permission for new 30,000-seat stadium in West Sydney is expected by year end. 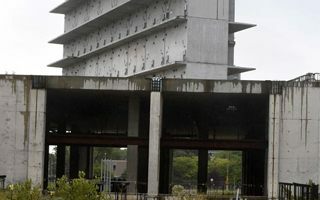 Later demolition can begin as three bidders are competing for lucrative $300-million contract. 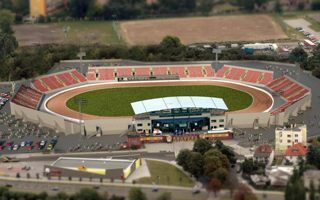 It’s not the most football-crazy city in throughout the Czech Republic, but it used to be the home of one of the country’s most interesting stadia. Now there’s salvation on the horizon for the derelict venue. 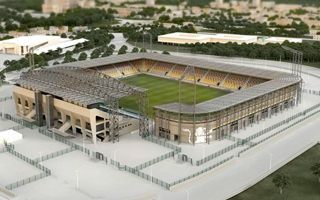 On Monday authorities signed contracts necessary to finish design works for the new Stettin stadium. We also know the time frame and budget, even if not too detailed yet. 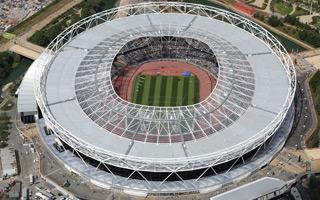 While the waved roof over revamped north stand won’t be complete until December, it’s already impressive. 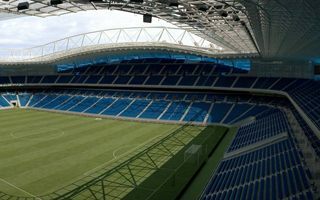 From now on we’ll be showing you the progress in Vigo. 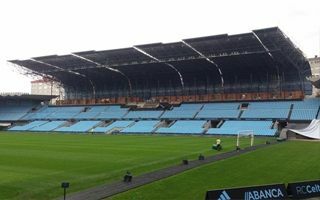 Old stands taken down, contractor for new ones selected, now it’s time to break ground. 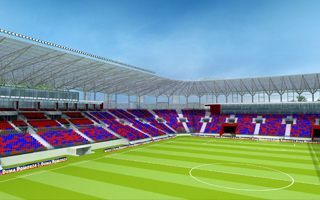 After 14 months current vice-champion Videoton will have a brand new stadium. 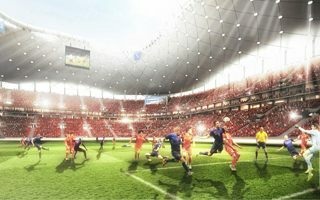 14.11.2016 New designs: Is this the final concept for Everton? 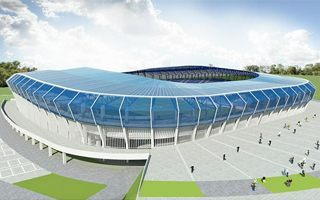 Futuristic rendering, isn’t it? 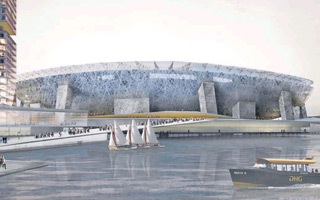 But that’s not how Everton’s new stadium will look. 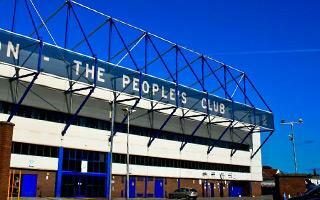 Still, the 50,000+ stadium could become part of a major revitalisation of central Liverpool. 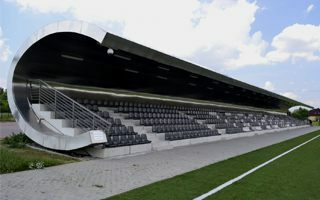 Take a look at this stadium, which has its only grandstand shaped to resemble the letter C. Fittingly, as it lies in Czosnów, just outside Warsaw. 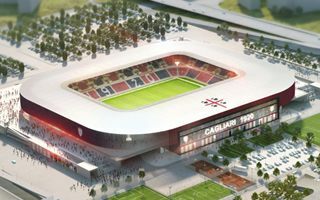 Yes, Cagliari Calcio will build two stadiums. 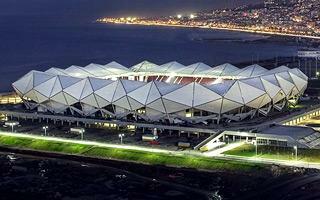 One temporary, only for the duration of the second one’s construction works. Both projects are now approved. 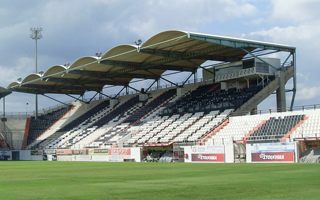 Exactly 65 years ago to the day, OFI Crete opened their private stadium in Iraklio. 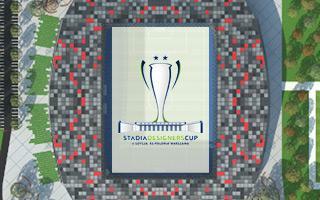 Now the venue joins our database, giving a fresh view on the intense Cretan football derby. 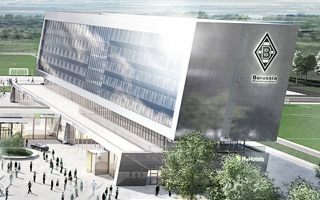 From 2018/19 Bundesliga season onwards fans will be able to stay for the night at Borussia-Park’s new hotel. Apart from 131 rooms it will also provide museum and fan store. And more! 10.11.2016 Poland: Śląski a strong candidate for white elephant? 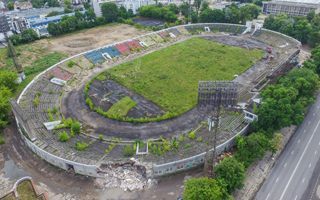 It may be Poland’s most historic large stadium, but Stadion Śląski is about to face major challenges when it reopens next year. 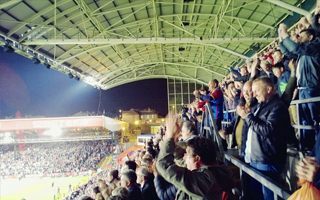 Sports marketing expert suggest the risk of it becoming a white elephant is high. 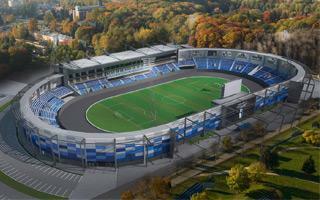 One of Lithuania’s most famous stadiums is now history. 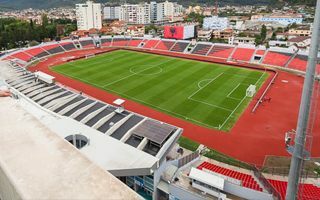 Žalgirio will be replaced by a new 4-star hotel by mid-2018. Demolition is already ending. There was more than one upset during Tuesday’s election. 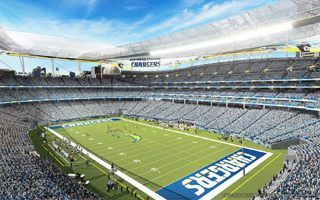 In California the $1.8-billion NFL stadium for Chargers was also shut down by voters. 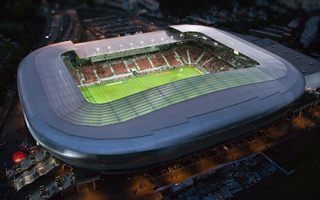 Well, not the roof itself, but the world’s smallest stadium to have a sliding roof may soon be built in Japan. 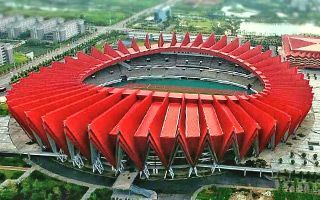 It’s the first Asian country to shift so much from athletic stadiums to football-specific. 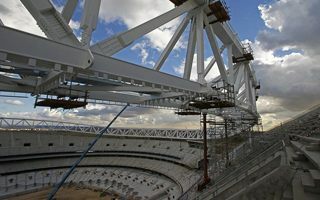 It took 110 days to deliver over 4,000 tons of steel from A Coruña and then install it on top of new Atletico Madrid stadium. 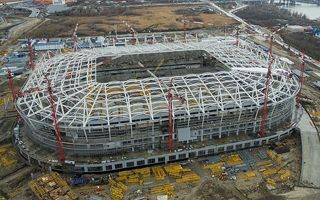 As Aberdeen FC celebrate record turnover, work on the new stadium is progressing. 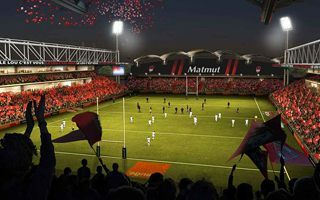 The club now expect to file for planning permission by the end of this year. 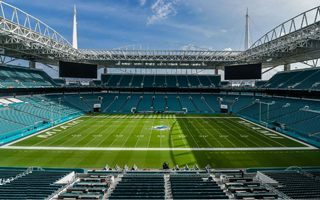 Revenue generated by Hard Rock Stadium already rose significantly and the growth doesn’t even include the lucrative naming rights deal. 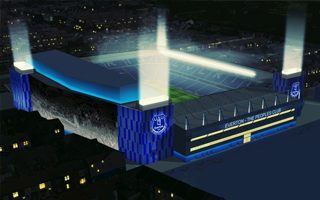 Key shareholder of Everton FC confirmed during today’s interview with talkSPORT that the club is committed to a new stadium and fans will be rewarded for their patience. 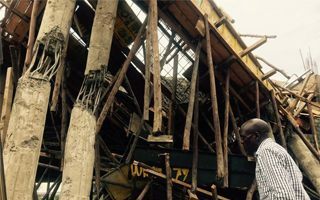 A chunk of concrete structure collapsed in the Kenyan city of Kakamega. One person was seriously injured and only one, because the rest were enjoying their lunch break. 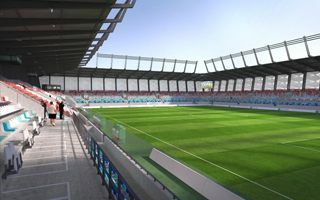 For the first time since 2004 the city of Tarnów has a plan for their dilapidating stadium. The old one was scrapped, what’s on the table now? 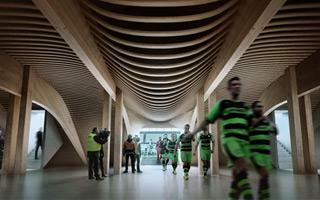 Forest Green Rovers announced Zaha Hadid Architects winners of their international design competition. 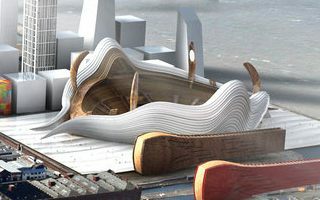 Organic wooden building could set new standards of sustainability. 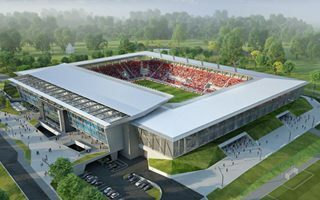 One of Poland’s oldest clubs is planning a new stadium for “over 10,000 people”. 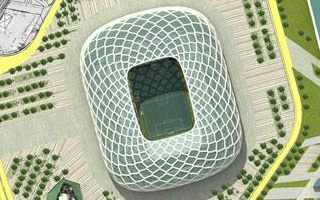 Well, then they should check what design enthusiasts proposed for this stadium to look like! 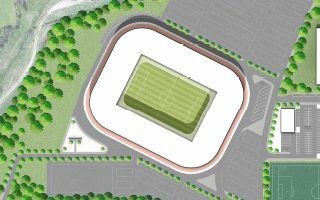 02.11.2016 Glasgow: Celtic to build a hotel at Parkhead? 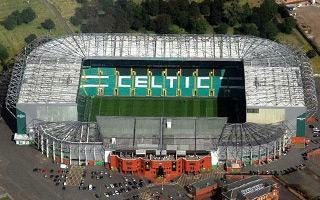 Thanks to the Champions League financial boost Celtic may submit planning application for a hotel at their stadium in Glasgow. £30 million might make the difference needed, according to Daily Mail. 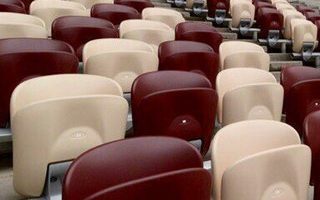 British stadium expert gave a simple choice for London Stadium: either you tear it down or it’s going to deliver poor matchday experience for decades. 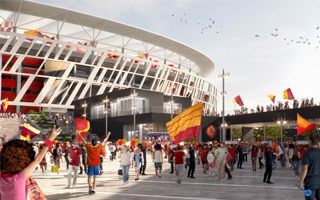 October was a busy month as Everton owner and one of the world’s most renowned stadium architects visited both potential sites where a new 50,000+ stadium could be built.